Margaret Mary (Ricksgers) Evans was born on Beaver Island, Michigan on September 9, 1930. 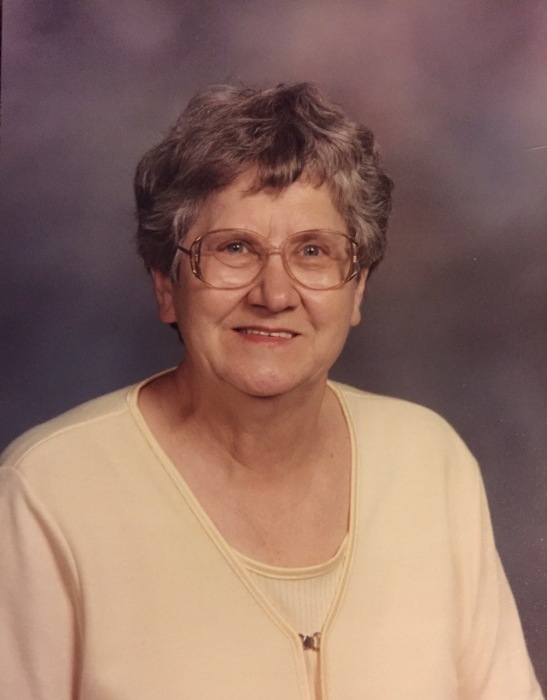 She passed away on March 28, 2019 at home in Alger, Michigan. Margaret was one of six children born to George and Otelia (Schmidt) Ricksgers. She was born and raised on Beaver Island in the same farm house that belongs to the family. Margaret moved to Pontiac, Michigan and worked at GM till she met her husband (Donald Evans). Margaret and Donald had eight children, Barry James, Kim Richard, Robert Allen, Shirley Yvonne, Gregg Michael, Gail Ann, Mary Jean and Joan Maureen (William). She has 16 grandchildren and many great-grandchildren. Her children were her life after she became a single Mom of eight. She moved to Pontiac, were she raised her family. Margaret didn’t drive or have a vehicle for several years so she relied on her sister Katherine and walked everywhere. Once she got her driver’s license and a vehicle, she went back to work at GM where she retired from. Margaret is preceded in death by her son Kim Richard, her parents George and Otelia, her Step-mother Florence, sister Katherine and brothers Henry, Alfred, Robert, and Kenneth. A funeral mass will be held Saturday, May 4, at noon, at Holy Cross Catholic Church with Fr. Jim Siler officiating. The family will receive friends from 11 a.m. until the time of service. Interment will follow in Holy Cross Catholic Cemetery, Beaver Island. There's still time to send flowers to the Visitation at the Holy Cross Catholic Church from 11:00 AM to 12:00 PM on May 4, 2019.